We sat down with Colton Tapp to talk about his upcoming leading role in the NASA-space movie alongside Neil deGrasse Tyson. Plus how he went from a Texas cattle rancher to a working LA actor! Driving cross country to pursue a dream isn’t for everyone. But the actors who come to LA to give it a shot all have a story to tell. Colton Tapp’s starts on a cattle ranch in Texas, and he’s currently awaiting the release of three feature films this year. PPLA: When did you first catch the acting bug? CT: I took a video and media class in high school and was chosen to be the morning newscaster my senior year. Being on TV to entertain the school every morning made me fall in love with the camera. 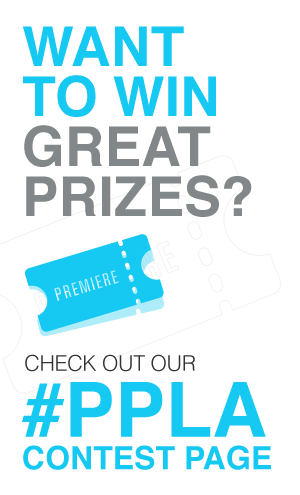 PPLA: What was the experience like when you first arrived in Hollywood to pursue your dreams? CT: I brought a dear friend of mine out with me to get settled in for the first week and it was great because I had someone to go and meet people with right off of the bat. We hit the ground running to, after a 20-something-hour drive from Texas, we stopped by a mixer and mingled for a few hours and even gave a pitch about our latest projects. The biggest challenge is staying true to your craft and your talents in a city where everybody “knows it all”. You have to continue trusting what got you there and while still listening to everyone’s advice, remember to filter it through your own intuition. PPLA: Has there been a moment in your career where you felt like you’ve made it or at least felt encouraged you were on the right path? CT: Not one in particular, but there have been a few of those moments in smaller doses. One was winning Best Actor award in a short film festival back in my home state. Another was being cast to fly to Sri Lanka and play a supporting character with Stephen Lang (Avatar). Little successes help keep you going strong! PPLA: Have you had a moment where you almost gave up and what kept you going? CT: Coming to a big city was pretty intimidating for me at first. I’m a small-town Texas guy and probably didn’t take to the crowd and lifestyle as quickly as others might have. That made it tough for a while. But really, it goes back to just staying focused and remembering what you came to do. PPLA: Can you tell us about the projects and roles you have coming up next? Thing you must have at your audition: I have to have the mindset that I’m there to have fun as well as make sure the people “watching” have fun. If everyone’s having a memorable time during your performance, it’s working. Go-to Fashion Item for a big audition or meeting: Auditions unfortunately don’t usually allow the luxury of fashion but for those big meetings and business moments, it’s always the Bulova Accutron II (Soft Brown and Green) on my wrist. FAV TV show right now: I’m on the Stranger Things train. It’s been keeping me hooked lately! FAV movie: I couldn’t possibly narrow it down. Hidden Talents or Fun Fact about you: Back in my hometown in Texas, I started a business as a teenager raising and selling cattle, it was called “Holy Cow Cattle Company”. It’s how I earned my first real money and bought my first car. Learn more, visit Colton Tapp.